Recently, I was introduced to String Advantage and their device (or tennis accessory) called Pojie. It sounds funny, and I didn’t really know what to expect when Kin and David from String Advantage generously sent me 2 packs of their Pojie’s. Like I said, they are little devices (or accessories) that are installed during the stringing process on the grommets in the throat of your tennis racquet. But really, they look like small plastic inserts that your tennis strings go around, but that’s where the deception lays. The Pojie compression core is designed to attenuate the initial peak force from ball impact, reducing the probability of joint injury over time. That means even when strung 2 to 4 lbs tighter, a tennis racquet with Pojie extensions can provide the reduced vibration of a lower tension racquet while giving you the control characteristics of a higher tension racquet. The engineered design incorporates years of science and physics to provide players with more spin and improved control while simultaneously absorbing impact from hitting. What this all basically means is that when you’re out there hitting with Pojie installed, the ball will sit on the strings longer which will result in more power, more spin, more confidence, and will amplify comfort for those who have struggled with arm issues. 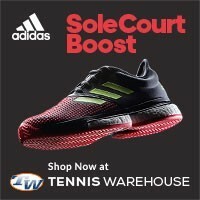 How does String Advantage Pojie get installed in a tennis racquet? Instead of explaining how to install the Pojie’s in your racquets, I made a simple video on how to do it. As you can see, I installed only 2 Pojie devices; the tennis racquet I was installing on (Mantis Pro 295) calls for 4 devices, but because of the angle that the grommets are drilled on that particular frame, only 2 would fit correctly. Had I used 4, the strings would be rubbing on the inside of the throat and would have performed poorly. Check with your racquet stringing professional on how many Pojie’s you may need. Also, because Pojie increases your sweetspot, you should string your tennis racquets at least 2 to 4 pounds tighter than your normal tension. Do the String Advantage Pojie’s actually work? I have spent quite a bit of time playing around with these little doodads and I have to say, they are a must try for almost every level player looking to get an edge in his or her tennis game. 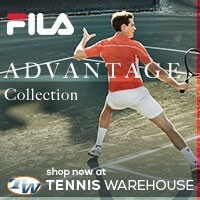 My testing was with my normal tennis racquet and strings that I am very familiar with. Knowing full well what to expect from the tennis strings, it was easy to identify any changes the Pojie system had. Without a shadow of a doubt, I was getting much better play from my tennis racquet with Pojie installed. I was getting much more controlled power on my groundstrokes. I could feel the ball sitting on the stringbed longer, this allowed me to make micro-adjustments as I needed. The spin production was better, not significantly more, but enough to where I noticed that I was getting getting more kick from my strokes. One of the best parts of using the Pojie was that off centered shots were easily controlled. This was in part due to the expanded sweetspot the Pojie produces. Most everything near the outside of the sweetspot was a piece of cake, never felt like I missed. The other highlight of using the Pojie system was the comfort. I like using polyester strings at low tension, a full bed of poly is what I go for in every tennis racquet. Polyester does hurt the arm, coupled with a heavy racquet and fast swing speeds, it’s a recipe for pain. Luckily, the Pojie’s expanded sweetspot and increased dwell time, allows for more comfortable shots. In fact, I’m certain it reduces the shock from impact! I never felt that, when using Pojie, my tennis racquet ever had anything added to it, even though each Pojie weighs just over 1 gram. What is the downside of using Pojie? 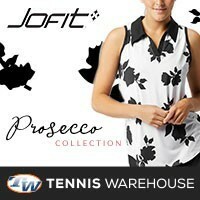 While I try not to talk poorly about tennis products, I do like to point out any flaws that I come across. With all the positive aspects of the Pojie system, I found that I broke my string much faster. I would say that I was breaking strings 30% faster than normal. But why? 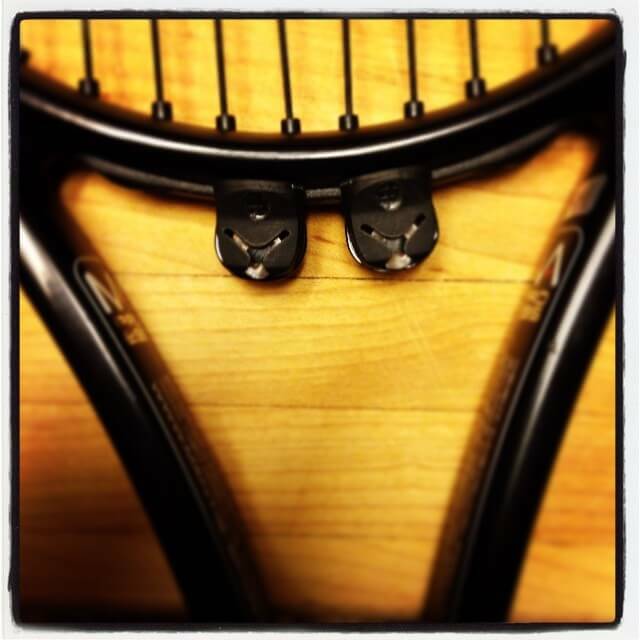 With the increased sweetspot and added spin, the tennis strings move around more, thus sawing into the crossing string. I picked up on this after I noticed my strings were notching earlier than normal. 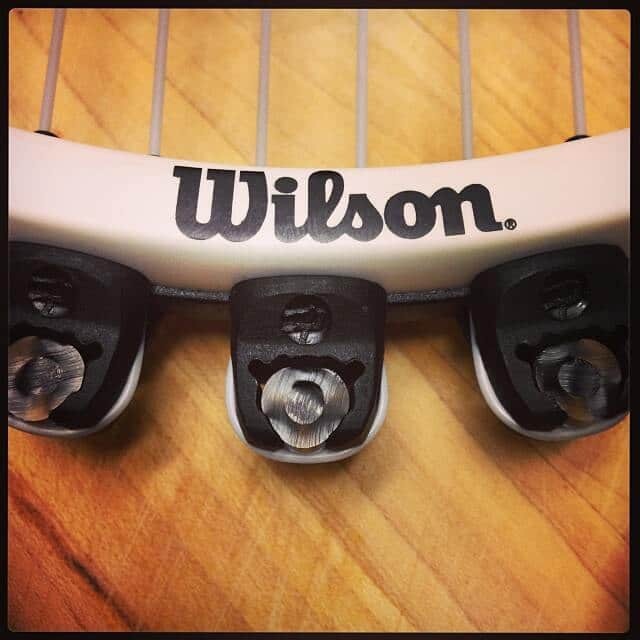 Breaking strings isn’t really a bad thing, it’s just an inconvenience. Who should try String Advantage’s Pojie? Pretty much any tennis player who is looking to get a little something extra from their tennis equipment should consider trying the Pojie system. Players from the NTRP 3.0 level would absolutely benefit from this device; where ball contact is inconsistent and off centered a lot of time, these will add forgiveness. The same goes with world class tennis players, the added dwell time will result in better balls speed adding to each individuals arsenal of weapons. And more importantly, every player in between. 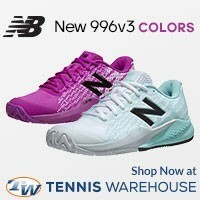 I’m a firm believer that anything that can add confidence to your tennis, then it’s a must try. What Kin and David have developed over at String Advantage is incredibly unique and worth a try. You just might be surprised at the results you will get…better, enjoyable tennis. 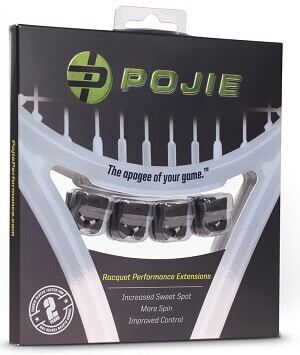 You can pick up a set of Pojie’s directly from String Advantage’s website.